understanding of how children learn and grow. Looking for a job or career with children or youth? Check out the job binder in MUB 249 at the front desk featuring jobs and internships for 2017. Call 415 452-5605 for more information! Enrollment is open to all students interested in working with children or youth in early childhood, K-12 classrooms or school-age and youth programs. Click here for Admissions and Records. FREECCSF is available for all California residents who are also residents of San Francisco. Tuition funded through a partnership with the City of San Francisco! Take advantage of free tuition to complete or start your career in CDEV or update your skills. The AS Degree with a Major in Child Development allows students to earn a degree at CCSF that includes specialized courses in child development. An AS-T degree is also available that is specifically designed for students interested in transfer to a four-year college or university to pursue further career goals. Students may continue coursework in child development, education, and related fields such as social work or counseling. Students may also continue to pursue an elementary, secondary or CTE teaching credential (required to teach in public K through 12 schools in California) or receive a BA or BS degree in a related field. Additional courses may be needed for future K-12 teachers. Find out more about our programs on our Program page, or visit our catalog page, or register for classes, or call (415) 239-3172. CDEV Department in the News! The Teacher Prep Center has received a grant through 2021 from the National Science Foundation! This NSF/ATE grant will support the creation of future STEM and CTE teachers at CCSF! Visit the ATE Central website to learn more! Visit our Teacher Prep Center pages to learn how to participate! Follow this link for information on borrowing your textbooks! NEW Employment and CAREER SERVICE AT CCSF! Students and employers are ured to visit. Post jobs, search for career information, find jobs! CCN is an interactive, online career services platform that connects job seekers to internship and employment opportunities using simple, all-device friendly tools that are both powerful and easy to use. 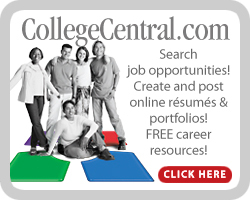 CCN makes it simple to post, search, and hire CCSF students and alumni. And, its FREE! Learn How to Become a K-12 Teacher! Contact Anne at 415 452-5610 or alchan@ccsf.edu for information! Individuals interested in becoming early childhood professionals in a wide range of settings can receive career advising, CDEV permit assistance, certificate and degree support, career information and special programs at PDP. The resource & support center is designed to assist early childhood professionals by providing services that support graduation, transfer, job placement and career development in the field of child development and early childhood education. New ECE Workforce Pathway Classes Available Spring 2019! CDEV students and workforce members interested in enrolling in evening or Saturday, General Education classes (Speech, Math, Latin American Studies and College Success ) for a CDEV Cohort with student supports should email Kausar at kwildman@ccsf.edu or Anne at alchan@ccsf.edu to be placed on the information list. Classes meet many graduation and transfer requirements. Check with your counselor and Ed Plan to verify your requirements! Math and English Requirements have changed due to AB 705! Placement tests are not the only way to secure placement in transfer-level courses! See your counselor for information! New Working Adult Degree Program at CCSF! Join the evening, weekend and online program designed for working adults at CCSF. CDEV courses can be used for GE credit as appropriate. Contact WADP@ccsf.edu for additional information and for CDEV specific WADP information! Congratulations to the 51 CDEV Dept. Graduates for 2018 and to our Transfer Students!